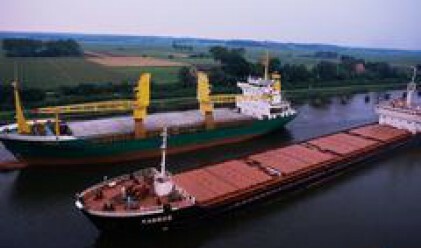 Bulgarian River Shipping Jsc ( ) posted net consolidated profit in the amount of 4.032 mln leva (2.06 mln euros), which is 34.58% above 2006, the company's report filed with BSE reveals. Net sales revenues rose from 33.773 mln leva at the end of 2006 to 45.053 mln leva (23.035 mln euros). Costs on economic elements grew 27.42% to 39.697 mln leva (20.29 mln euros). Financial costs doubled to 715,000 leva. At the end of 2007 assets stood at 52.479 mln leva (26.83 mln euros), which is nearly 4 mln leva up from the preceding year. The company increased capital from 1.158 mln to 28.959 mln leva (14.806 mln euros) using own funds. At the end of 2007 core capital stood at 39.48 mln leva (20.185 mln euros), up from 35.169 mln at the end of 2006. Liabilities total 11.347 mln leva (5.80 mln euros) and receivables are at 5.176 mln leva (2.646 mln euros). This morning shares were traded at levels between 6.35 and 6.44 leva.